Children in Crossfire is entering an exciting new strategic phase whereby through a combination of programmes implementation and advocacy and partnerships, we will contribute to thousands more young children in Tanzania being supported to thrive during their crucial early years. We are now re-advertising for a senior management position to take lead of our Early Childhood Development (ECD) Programming. Overall responsibility for CiC-TZ ECD programming performance against the results framework, rooted in effective results-based management approach and high standard of internal and external reporting processes. Ensure CiC-TZ programming meets high technical standards of ECD, and demonstrates a cycle of continuous reflection, learning and development of our early childhood development programming. Management and capacity-building support of local implementing CSO partners, supporting partner organisational development and ECD programming technical capacity. Strategic responsibility for integration of ECD programming into local government processes, including supporting medium-term planning and costing in line with national policies. Ensure a high level of accountability in programmes finances management and results-oriented performance management of programmes team. Develop and effectively work in strategic partnerships at national-level across government, development partners and civil society to advance ECD agenda in Tanzania, and ensure CiC-TZ ECD programming well-positioned, relevant and evolving. with CiC-TZ results framework, annual costed programme workplans, and donor frameworks. learning and action on improvements grounded in strong MEL1 processes and tools. and commissioning of key pieces of enquiry on ECD data. technical inputs, including available ECD evidence and targeted consultancies. implementing CSO partners to deliver effectively across all aspects of CiC-TZ ECD programming. collaboration in early childhood care and education programming at the national level. partners, civil society and academia. adherence to CiC finances policies and procedures. including targeted staff development and support. narrative and financial reporting requirements. all operational aspects of CiC-TZ ECD programming. and signed off on annual basis. Assist with wider organizational activities as and when required. including taking the lead on MEL, informing programme management and development. stakeholders and Early Childhood Development landscape. health and education, in positioning and implementing NGO development programmes. support to local-CSOs (Civil Society Organisations) to deliver development programmes. A detailed Job Description and Application Form for this position can be downloaded from: http://www.childrenincrossfire.org/we-are-hiring/. 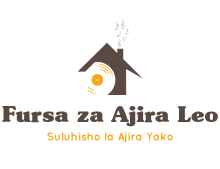 The position is based in Dar es Salaam with the expectation of travel within the regions. All applicants are required to complete a Children in Crossfire Application Form and email to: jobstz@childrenincrossfire.org (please note we do not accept CV’s). Please include job position applied for in subject line. Only those candidates selected for interview will be contacted.